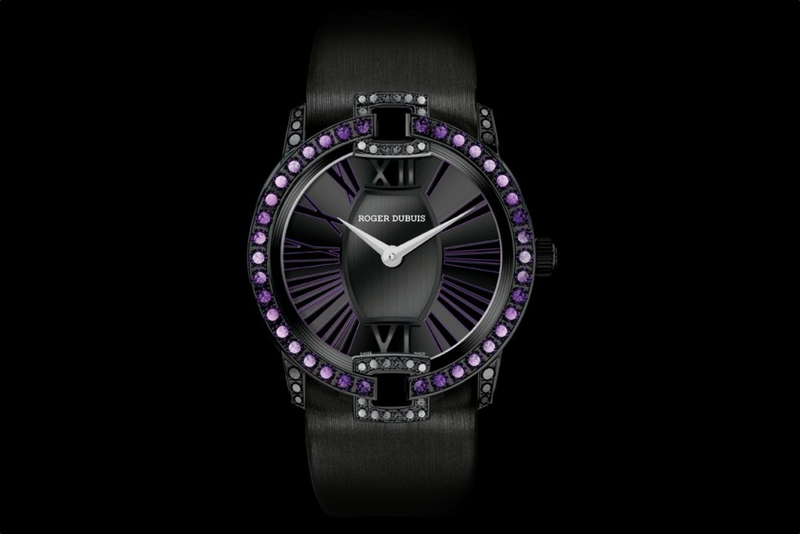 The Roger Dubuis Velvet Amethysts and Spinels timepiece Black Velvet was in my opinion the nicest ladies’ timepiece I saw at the Salon International de la Haute Horoology (SIHH) last week. 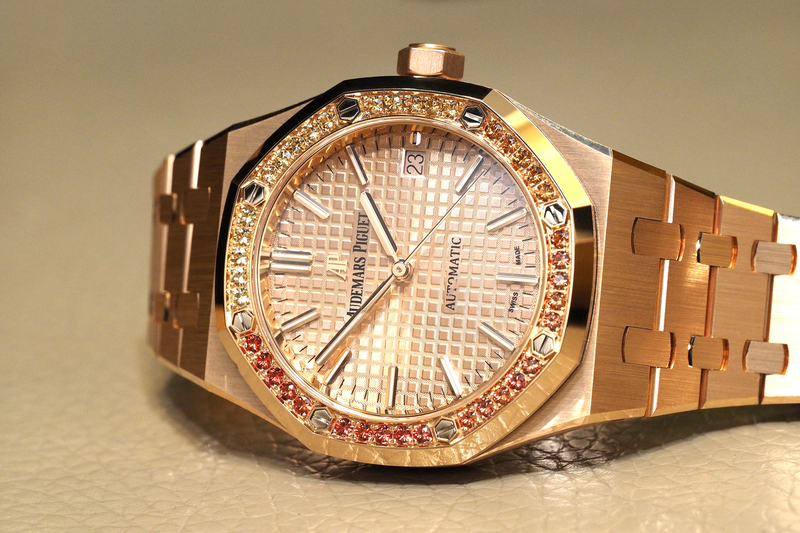 The dial is black with a brushed center and white “Roger Dubuis” transfer. The outer edge of the dial has a satin sunburst finish and black Roman numeral transfers with purple filet and black Roman numerals applied at 6 and 12 o’clock. Displays hours and minutes. 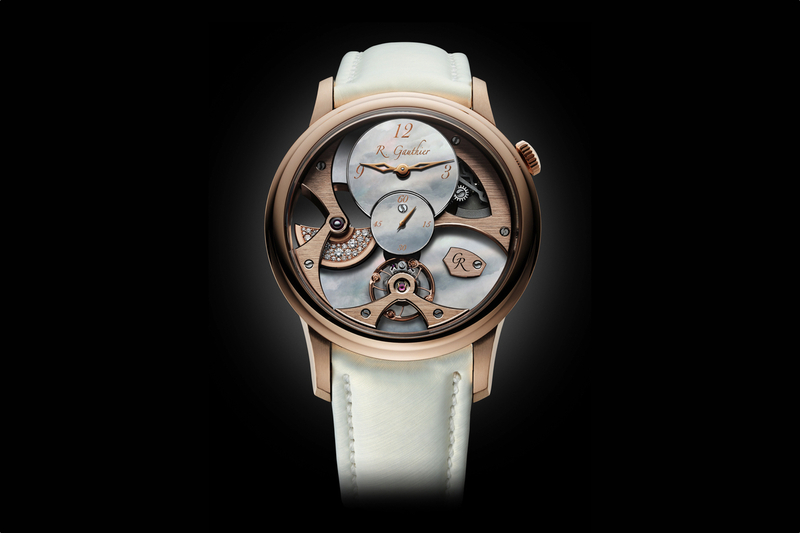 The movement is self-winding mechanical caliber RD821, 33 jewels, 28,800 vph (4Hz), 48-hour power reserve. The movement is immaculately hand finished to Poinçon de Genève (Geneva Seal) standards, as well as being certified for accuracy by COSC. The strap features a black satin finish fabric that perfectly matches with the look of the case, with a black DLC steel adjustable folding buckle. Water resistance is 30 meters. 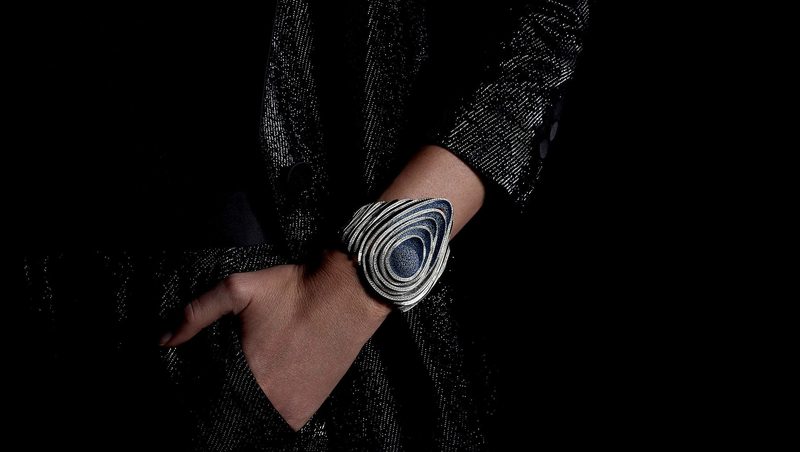 Limited to 188 pieces worldwide. Available in the US at one of 12 dealers. The price is $35,000.